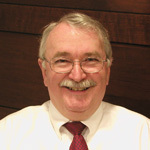 Marty Wood joined the Mechanical Engineering Department in 1985. He received his B.S. from Auburn University in 1971 and served in the U.S. Navy Submarine Force for 21 years. Joining the department as a lecturer, he was promoted to Assistant Department Head in 1989, to Associate Department Head in 1991 and to Assistant Dean for Undergraduate Education in 2000. Mr. Wood directed the undergraduate program and was responsible for the School of Engineering’s undergraduate recruitment, retention and outreach initiatives. He was the faculty advisor for Tau Beta Pi, National Society of Black Engineers and is a member of ASME, ASEE and SAE.